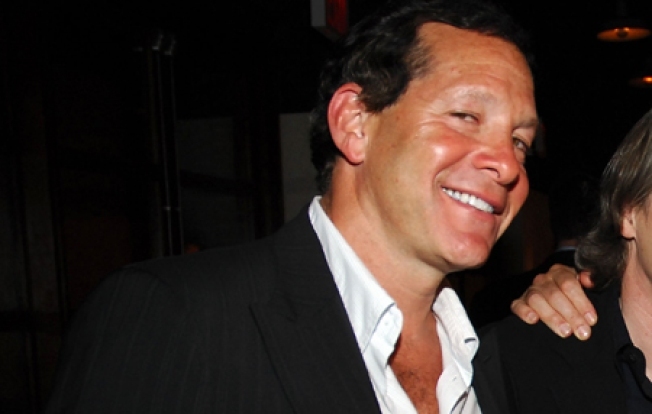 Steve Guttenberg was caught on film running through Central Park in a G-string. Why? Listen, today does feel like a pretty special day, what with all the hopey-hope and changitude and unicorns and rainbows. Also, it's really unseasonably warm outside. But are the electing of a black man (much less a Democrat by the largest margin since L.B.J.) and a little late-Indian summer action valid reasons for Steve Guttenberg - of Police Academy, Three Men and a Baby fame - to pop into Frederick Law Olmsted's great greenpatch and run some laps with his berries hanging out? Okay, not hanging out. But as this Best Week Ever video shows, he's not exactly conducting his business behind closed doors, either. Daily Intel is begging for an explanation, because it's clearly a joke -- we figure it's some sort of viral video/FunnyorDie/Drunk History-type situation. And now that we have nowhere to put all these pre-election pins and needles, we're going to be on the edge of our seat until we find out.